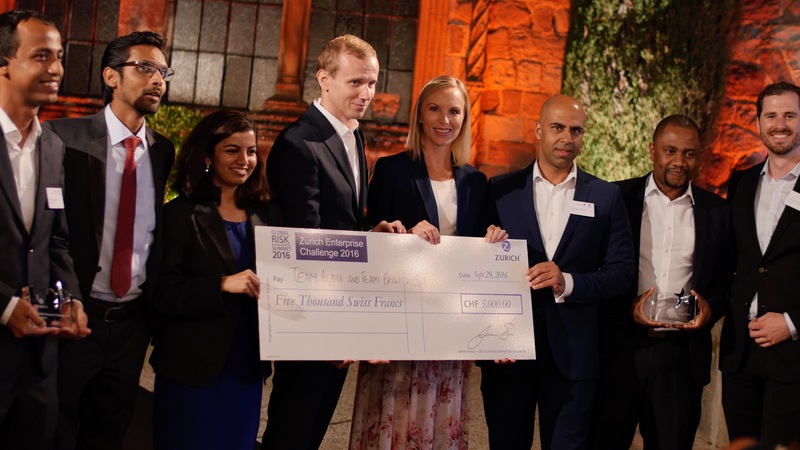 Competefor a CHF 5’000 cash prize, as well as attendance and presentation at the Zurich Global Risk Management Summit 2019! This is a team challenge; each team should consist of 3-4 team members. Each team member is required to create a Project Firefly profile. Be sure to complete your team's registration and enter the challenge. *Chances at interviews for top performing participants. 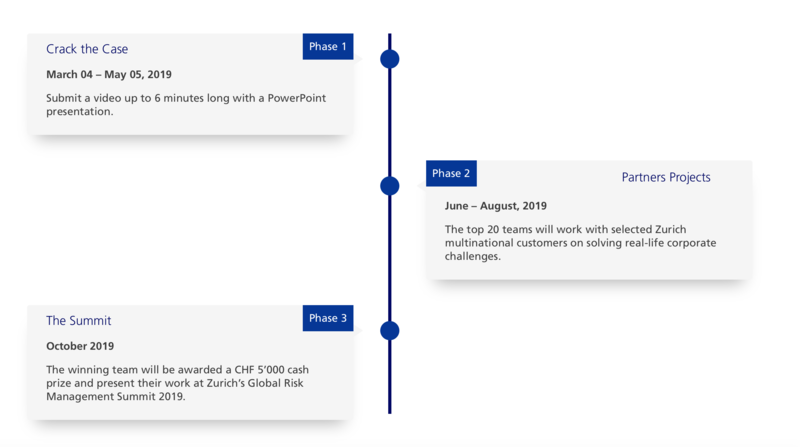 Zurich and partner companies will have the opportunity to review candidates within the challenge.